Why Do You Need an ICO White Paper? White papers for an ICO demonstrate stability, longevity, and legitimacy to both potential investors and to the general public. Make sure that your ICO white papers portray the right things so that your company can shoot for the moon. We recommend that a member of the project’s team draft the ICO white paper as nobody will have as good of an idea as to the projects functionality or its direction as the team itself. However, white papers often contain accidental misrepresentations and statements that alter the compliance of the project. This is why it is important to always have a trained, experienced, licensed legal professional review your white paper. We can help with our ICO white paper review. The United States has some of the world most stringent licensing and educational requirements for attorneys in the entire world. All of our attorneys are licensed in the United States and keep up to date on all regulatory law and compliance necessities with the SEC (Securities Exchange Commission). We make sure that your white paper is compliant and is structured in the best way to attract attention from investors and from the public. By having ICO Law Group by your side, we can lend our expertise on your ICO white papers. 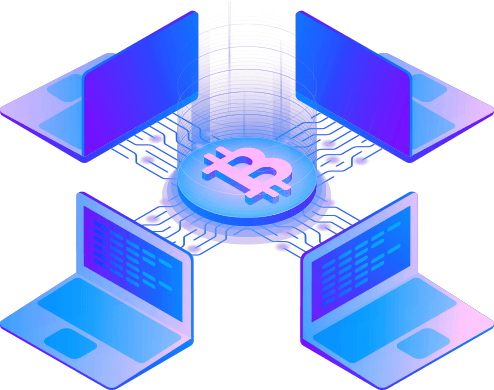 The Cryptocurrency attorneys at ICO Law Group have specialized technological knowledge necessary to ensure that your white paper is technically correct, understandable by the general public, and protects your project and your team. Token sales requires protection from every angle and your white paper needs to offer protection as well. We recommend to all of our clients that white papers be released to the public. In doing this, your ICO has to be sure that your white papers convey the right message and complies with all relevant legal standards. The ICO Law Group has the knowledge and know-how to help you make sure that your ICO white papers keep your company looking great and legally spotless. Knowledgeable lawyers in a growing industry. Along with ICO white paper reviews, ICO Law Group also specializes as an ICO press release service. Press releases and social media posts can accidentally expose intimate details about the sensitive inner workings of the company. Overall, every ICO wants investors and every project yearns to have a successful ICO. Make sure that your company is kept close to home and legally in good standing with the ICO Law Group. White papers reviewed by licensed attorneys lead to a variety of benefits and are likely to attract more investors than those which were not reviewed from a legal standpoint. A clean and compliant white paper can lead to increased token sales, lower risk of legal problems, acquisition of high-value partnerships, increased press coverage and hype, increased investment amounts, better exchange listings, positive social media coverage, favorable taxation, and an increase and project and token worth. Our white paper review services and ICO press release services can help your project gain these advantages. Cryptocurrency investors are looking for projects that not only has potential, but also a dedicated team behind it who has attention to detail. Every white paper attempts to make this a reality though few succeed. ICO Law Group knows what it takes to make your white paper portray a successful and potential-filled project. We can help you send the message to investors that your project will be a long-term success and that your Initial Coin Offering is worth investing in. Even more, we can help you send the message to other companies and projects that your cryptocurrency is worth forming long-term partnerships with. Why is the ICO White Paper Service Important? Your ICO white paper should include not only a detailed outline of your project in terms of its concept and goals, but it should also include a detailed explanation of the technological design behind your idea and its implementation. Furthermore, your ICO white paper should include an in-depth and extensive business plan and a timeline for the development of your project. The goal is that you give enough information to the general public and investors to develop faith in your project as well as your team. Your ICO white paper is essentially the introduction of your project to the world on a more in-depth basis that will be apparent in your website. It should be looked at as your opportunity to establish legitimacy and credibility within the ICO and cryptocurrency market. A proper ICO white paper should outline in detail the broad idea of your project and the members of your team and advisory board, as well as the technical aspects of your ICO such as which blockchain will be utilized and how exactly the blockchain will play a part in the overall engineering of the idea. Because ICO white paper contains so much information about your project, it is important that the white paper is checked for any accidental material misrepresentations that could land the project in hot water down the road. Furthermore, an ICO white paper should contain all necessary disclaimers and risks for the protection of both your project and your investors. A strong legal team familiar with cryptocurrency and the potential legal pitfalls in which they sometimes find themselves, like ICO Law Group, can help you to make sure that everything is done correctly. Contact ICO Law Group Today! Our licensed attorneys are experienced in reviewing ICO white paper, press releases, and other materials released by cryptocurrency projects and they will help you develop strong, legally sound materials to release to the public. Have a website? Websites often contain language and material that, if not reviewed by an attorney, could lead to trouble down the road. Regulatory agencies such as the Securities Exchange Commission have stringent regulations as to how a website can be set up in relation to an offering of cryptocurrency, as well as the language it may contain relating to the purchase of the cryptocurrency strictly as an investment and soliciting investments directly from the website. Our ICO legal team will review your website content and conduct a compliance check to ensure that you and your investors are kept safe.